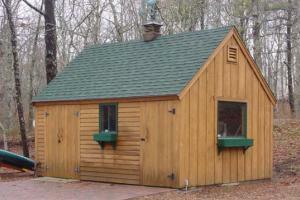 Now you can build your own Post & Beam Buildings ranging in size from 6' x 8' to 12' x 24' and any size in between! Actual Construction Pictures of every step. Based on over 30 years of post and beam shed construction. Build buildings from 6' x 8' to 12' x 24' or larger using these methods! 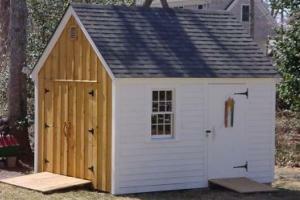 Advice and guidance on what specific materials to use to make your shed just right. Sizes from 6' x 8' to 12' x 24' and beyond! Post and beam sheds are expensive. 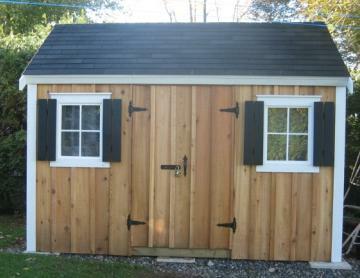 A well built standard 10' x 12' post and beam shed kit is around $2500 to $3000. The Complete Post & Beam Plans & Buyer's Guide was written based on over 30 years of post and beam shed and barn construction. In fact I am typing this from my 16' x 20' custom post and beam office building right now. You can finish the outside of your building to match any look you want. Download Your Post & Beam Building Guide Now! 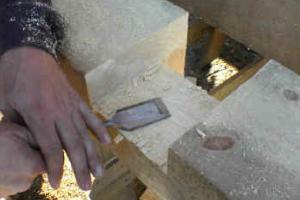 You will not find a more comprehensive guide to building post and beam sheds. You will be able to build your own post & beam buildings ranging in size from 6' x 8' to 12' x 24' and beyond. 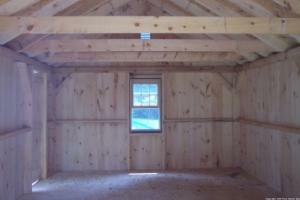 You will be an informed consumer if you are looking to buy a post and beam shed. What size building should you build?
" It looks very informative, at least for a novice like myself, and has the most detail that I have seen. Thank you. " 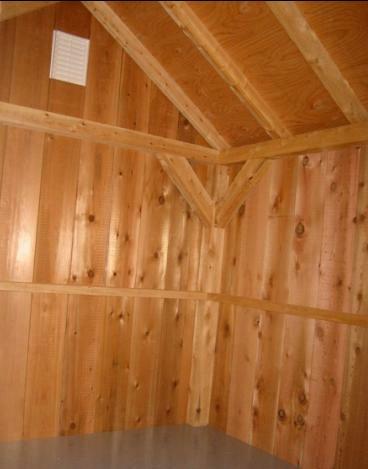 -- David S.
I purchased your wonderful How to Build a Post and Beam Building book on line yesterday because I want to build an 8’ x 10’ post-and-beam garden shed this summer and, if I succeed with that project, I’ll build a 16’ x 20’ post-and-beam cabin sometime next year. I think your book is really well written and nicely illustrated with photos. It is exactly what’s needed by a novice builder like me. I was absolutely delighted when I read the section that explains how you built your 16’ x 20’ office building, because the design of that building almost exactly matches the design I want for my cabin! Before downloading your book, I’d found a number of post-and-beam cabin designs and cabin kits on line that are similar to what I want, but the roof pitches on all of them are relatively shallow (e.g., 8/12, 5/12) – and I want a steep, 12/12 pitch for my cabin’s roof because it will be built in snow country (far northern Maine), because I want headroom in my cabin’s sleeping loft, and because I just like the look of a steeply pitched roof. In closing, let me say “Thank You” for authoring such a wonderful piece of work. I am so happy I found it. In June, I downloaded your guide and the results are great. I send you two photos of the shed as it is now. 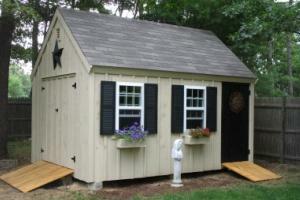 I was looking to buy a 12x16 timberframe shed and all of the quotes I got were in the neighborhood of $4600, so I figured for $27 it was worth it to me to check out your guide and it really helped me decide on the exact building I wanted. Thanks! 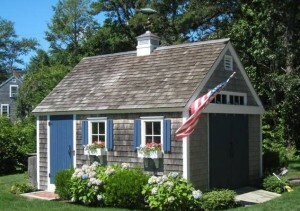 Build your new storage shed, backyard getaway, pool cabana, cottage, camp, hobby barn, workshop, motorcycle shed, home office or even attach it to another building as an addition.